click link and weigh in. Zombies for charity. Mentioned before, but it's now for sale with a new cover! 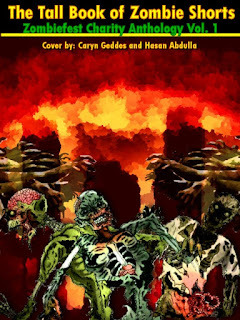 The Tall Book of Zombie Shorts (Volume One) (Zombiefest Charity Anthology) is now available for sale on Amazon, (Amazon links at end), Kobo, Nook, and Smashwords. Proceeds benefit the Wounded Warrior Project. Get Fit For The Zombie Apocalypse! Being overweight is stressful enough, but it will also surely make you the easiest and most desirable target for a ravenous zombie. Fortunately, there are many Zombie Training Workout Tips all over the internet to help you lose some of your appeal to the creatures when they make their arrival. With the right workout, you can gain the strength you'll need to wield weapons as well as the speed and endurance to run like hell. So, if you've been making excuses not to exercise but are one of those people preparing for the apocalypse, don't forget to include a daily workout to lengthen your odds of being an easy target. Now, I'm no fitness guru at all. My typical form of exercise is getting up from my writing to make coffee or check outside to make sure the zombies haven't arrived and are snacking on my kids. So, that being said, I've started a couple of challenges that I found on Facebook from Coach Sam which have definitely expanded my chair space and strengthened my upper-body strength, which I know will help me if the dead ever became the...undead. They are very challenging for some of us, so do what you can and don't give up. I actually got my daughter Cassie, who's twelve, involved to motivate me. Obviously, these are only going to strengthen your muscles, (and raise your metabolism) so you should still include cardio during the week to burn more calories. 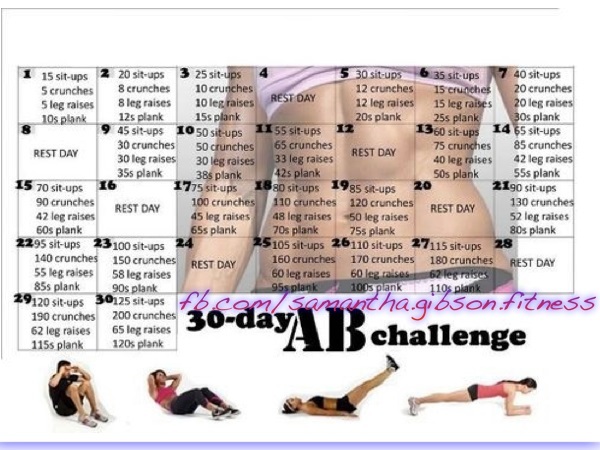 Here is a thirty-day challenge which is VERY CHALLENGING for us easy-target people, but if you're up for trying it out, good luck! For more tips visit Coach Sam on Facebook! 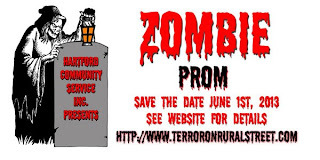 * June 1, Hartford, WI, Zombie Prom, "Terror on Rural Street"
Tickets and info for: "Dorothy Marie and the Unanswered Questions of the Zombie Apocalypse"
Production company Rogue Lumen offers a dramatic comedy about a young couple facing the first major crossroad in their relationship when a disease spreads nationwide overnight. * Oct. 12, London, UK - World Zombie Day - zombie walk, etc. More than 50 cities to host their own walks. * Oct. 26: San Antonio, TX, Zombie Con "Pandemia"
I’m looking for a few good zombies! I’m about to start writing FALL OF NIGHT, the sequel to my 2011 novel, DEAD OF NIGHT. It’ll be out next fall from St. Martin’s Griffin. Just as I did last time, I’m having a contest. The rules are simple: in one paragraph, tell me how you’d like to die in a zombie apocalypse. I’ll pick three winners. Then I’ll write new versions of your death scenes (working them into the story). Winners will get signed copies of the book, they’ll be thanked in the acknowledgements page of the novel, and I’ll interview you for my blog as part of the launch. To enter: post your zombie death scene on Facebook or on his group page. 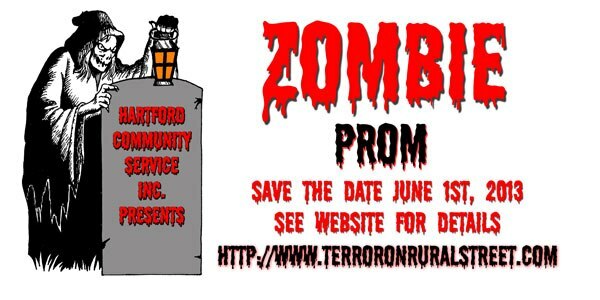 Or email to jonathan_maberry@yahoo.com and put ZOMBIE DEATH SCENE in the subject bar. No limit on number of entries. Winners of previous contests can enter but if you were already killed, your name might be changed. And... you get a famous death, not a share of the paycheck, he says. Over the weekend, I started working on my next zombie novel. I'm a few pages into the second chapter. It's been a little slow going because I've been so freaking exhausted this week. However, I have some time off coming up, so I'm looking forward to really getting in to the story. 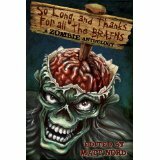 This particular novel is an expansion of a short story I have in the anthology So Long and Thanks for All the Brains. I always had the intention of turning this story in to a novel, it just took me some time to get around to it. My original intention was to take the short story and drop it into the novel, but as I'm writing, things have changed. My main character is deeper than originally conceived, the situations have changed slightly. While I can still use some of the things I originally wrote, a lot of it is going to be expanded. Live, and Let Them Be Undead was a great outline and start for what this novel is going to be. I'm very excited to see where the characters take me. I'll keep you informed of my progress! If zombie books and movies aren't enough for you, here are a couple of zombie games to play! Get the kids and have some non-video game fun this summer! 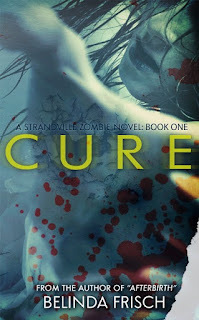 Today, we have a meet-my-zombie-character post featuring Max Reid from author Belinda Frisch's zombie books, CURE and AFTERBIRTH from the Strandville zombie series. 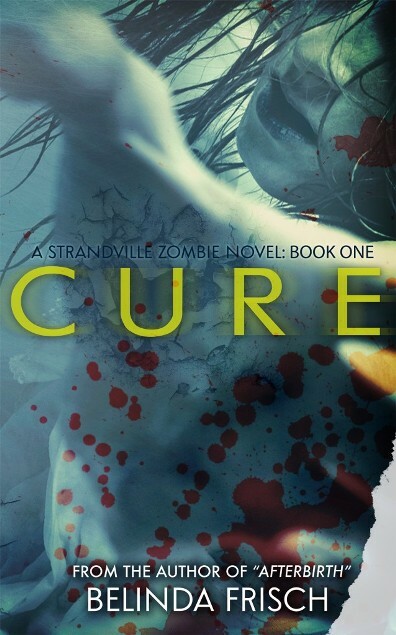 In CURE (A Strandville Zombie Novel), medicine meets horror in this thrilling escape tale about the evil men do in the name of progress. Desperate to find a cure for the lethal virus which turns its victims into zombies, Nixon kidnaps Miranda Penton, a security recruit with a past that won't let her go. He doesn't count on anyone coming looking for her, least of all her ex-husband, Scott. Scott and the locals, determined to bring their loved ones home, hatch a plan that releases not only the surviving women, but the virus on those left in the hospital. The town of Strandville is ground zero for the zombie apocalypse and Miranda must get free because the fate of humanity lies with her unborn child. 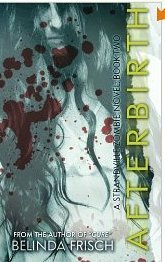 In Afterbirth (A Strandville Zombie Novel), The survivors of the Nixon Center struggle in a post-apocalyptic world where the walking dead aren't the biggest threats. Working from a remote, mountain cabin, Dr. Howard Nixon is determined to salvage what is left of his experiment. All roads lead back to Strandville where grudges resurface and old decisions must be answered for. Scott, Miranda, and Dr. Michael Waters return to the center to face-off against their pasts, and each other, as Michael's secret agenda comes to light. What I like best about my character, Max Reid, is his unflinching resolve, his determination, and his irresistible wickedness. I know it’s strange that I pick my villain, but after featuring him in the genesis prequel, “Payback,” which you can find for free here, I got to know him better and he’s now one of my favorites. Max Reid couldn't be a more evil henchman. A man with a secretive, dark past, he enjoys instilling fear and doesn't hesitate to give Zach, a new Nixon Center recruit, a first day hazing. The Nixon Center's basement houses several walking dead, all requiring sustenance and care to be in shape for Nixon's reproductive experimentation. Zach struggles to learn the routine. "A couple of hours earlier, Zach would have believed that no one could be worse to spend time with than Nixon. He would have been wrong. Max Reid was every ex-convict stereotype Zach’s mind could conjure. His close-cropped hair did nothing to conceal the black ink tattoo of a pistol and a silencer that wrapped around the side of his head, one of dozens of amateurish tattoos supporting the assumption that Reid was a criminal. Ropes of toned muscle strained the fabric of his short-sleeved uniform shirt and at six feet, four inches tall, a good eight inches taller than Zach, Reid’s formidable presence intimidated. Ex-military. Ex-convict. Nixon covered his bases. Zach inventoried the ink on Reid’s neck and arms--a confederate flag, a Bowie knife, skulls, a grenade, and a crucifix--and decided that no matter what Reid’s answer was, he wouldn’t argue. 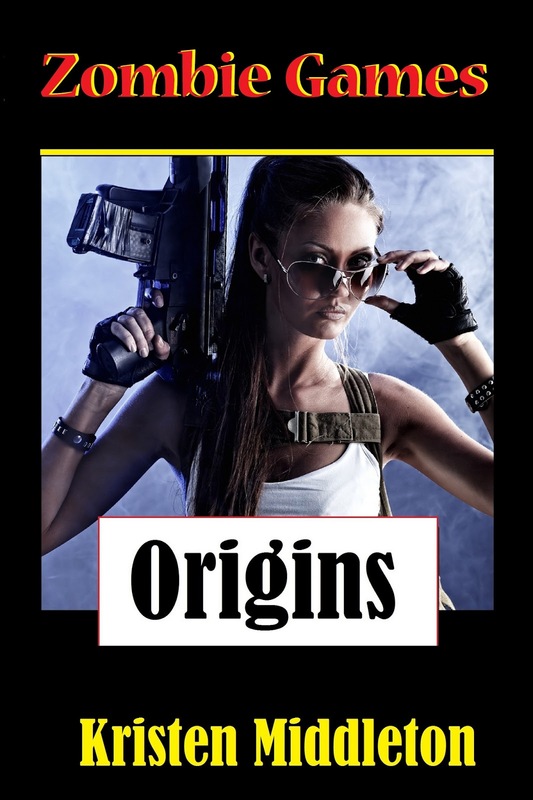 He adjusted his holstered pistol to validate that he was a man with options. Zach stood strong. “I don’t know. What’s the difference between a soldier and a murderer?” He couldn’t conceal his annoyance and expected the next words out of Reid’s mouth to be incredibly stupid. Stupid didn’t quite cover it. Reid’s thinly veiled attempt at comparing the two of them was both insulting and wrong. Zach held his tongue, but if he had any doubts about Reid’s jaded past, this “first day in the prison yard” mentality put them to rest. “Excuse me?” Zach’s head ached, he guessed from the rise in his blood pressure he attributed to Reid. The dark blanket of hair covering the calf said it had belonged to a man. Zach took it down and slid it across the counter. Whatever was about to happen, he’d recently seen worse. Still, the prospects made him squeamish." ** Read more about Reid and the doomed inhabitants of Strandville in “Cure” and "Afterbirth," both available on all platforms. Zombies aren't just for adults. Everywhere you look you'll find zombie stuffed animals, zombie lunch boxes, and even slippers. So the next time you're shopping for new gift ideas for yourself or the kids, don't pass up some of these fun little items found on Amazon and many other online retailers. 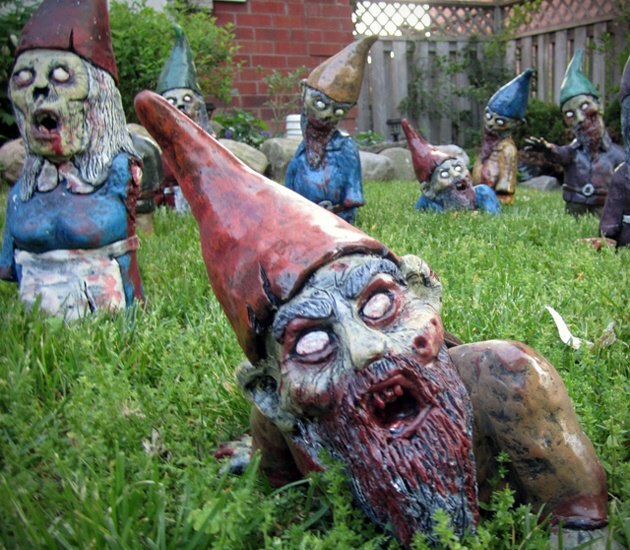 I for one would love the Plants vs Zombies figurines. First thing you'll notice are Becca's eyes, of course, but shh, not a peep! She's kind of sensitive about her one eye which "pings around like a pinball machine" ever since she got infected by the Z virus, thanks to her other cousin sharing his secret with her through an accidental scratch. Now Becca has all these weird quirks and a new life to get used to. Not that being a part Z is ever easy. Luckily, a woman came up with this awesome makeup, "Girls Like Us," (which Becca really thinks should be called "Ghouls Like Us") and helps with some of the more "stubborn Z traits." A little swipe of "Ghoul Girl Pink" on her lips and some blue eyeshadow and she feels, well, almost normal again. A little. Despite Becca's crankiness and spurts of anger, which Gabe claims is "normal for us" during their adjustment, he understands - he sees her heart. To Becca's amazement he doesn't turn away from her, even when he sees some of her darkness inside. He hopes, and sees how things can be, something Becca must accept and face if they are going to have any kind of future, together. And after awhile, this is something she actually allows herself to think about... Will she succeed? 1. She shouldn't wear certain colors. "I can't wear green, for obvious reasons." 4. She collects Day of the Dead figurines. 5. She is not a perfect student. 7. She dreams of being a model or TV broadcaster, though her dreams change once she's infected. Her new goal? "Maybe I can become the first Z broadcaster, like Oprah, except I'll never be cancelled..."
Yesterday, my spouse and I got onto the topic of fashion. It's a long story of why, but it got me to thinking about trends in general. I'm not one who cares about the latest thing or what people are wearing. I want to wear what I'm comfortable in. I'm not out to set trends. The same can be said about my writing. Advice givers always say that you shouldn't write for trends, and you really shouldn't. Write what you want to write. Your passion and excitement will flow through your words and draw the reader in, even if your story isn't "in." Besides, who can predict what's "in" and what isn't? How many people do you think copied J.K. Rowling and Stephenie Meyer after their books hit the bestseller list and gained world popularity? How many of them are are being talked about at the moment? When I was writing my YA zombie books, I wasn't writing to be a part of the trend. It just happened to be going on at the same time. And even though the trend was going on when I was shopping my stories around, I didn't land a huge publishing contract. I didn't have movie producers flocking to my door. I bet a lot of other zombie authors didn't either. Does that mean our stories are bad or poorly written? Maybe, but more than likely not. More than likely is has to do with market saturation. Trends grow old pretty quickly. I wrote about zombies because I like to write about zombies. I'm sure I'll continue to write about the walking dead long after the trend has gone out of style, and I would bet most other zombie authors would tell you the same thing. There will always be readers out there who want to read about the undead. They might not be mainstream, but that doesn't mean there is something wrong with them. My point is that whether it's fashion or writing or whatever, there will always be people out there who are on the cutting edge. They'll always seem to have the "right" stuff. That's fine. More power to them. I hope that makes them happy. Me, I'm fine with being a little dumpy or behind the times. I'd rather wear and write what I'm comfortable in. I hope readers want to read whatever makes them happy, even if it's not the latest trend. My husband comes home from Iraq in THREE DAYS, so I'm busy getting ready. I love this song, so I thought I'd share with you. Get ready for earworms! How many of ‘em? Who can tell?. We need to be ready. We gotta be strong. Before it's just too late. How many of ‘em? Who can tell? P.S. Can you do something ‘bout my neighbor’s dog. It keeps me up all night. "Today, identity and branding are all the buzz. Because we live in a digital world, every Tweet, Facebook post, blog post and press release helps to reinforce your brand. As a graphic designer, one of my roles is to help you get “the look” crafted for your business so that everything you publish online, your business mailing pieces and all your printed marketing collateral hangs together in a unified way." And she's knows what she's talking about because some of her awesome covers have helped launch some of the Bestsellers on Amazon and the New York Times. If you're an author and are looking to enhance your book sales, I totally recommend contacting her to see what she has to offer. Not only did she help me create more of a buzz for my vampire book,"Blur", but she is one of the sweetest gals you'd ever want to work with. 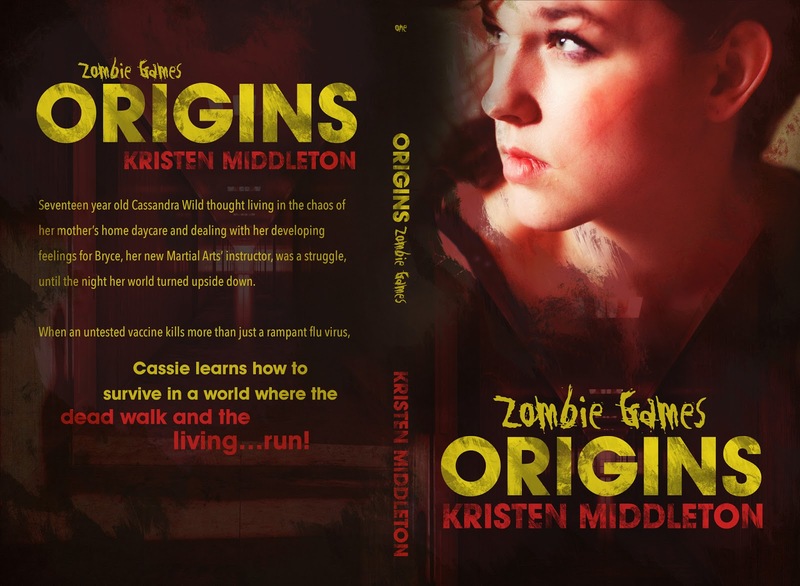 I have to say that I'm pretty excited to find out what this cover will do for my Zombie Games series. You know not to go outside, right? They're everywhere. 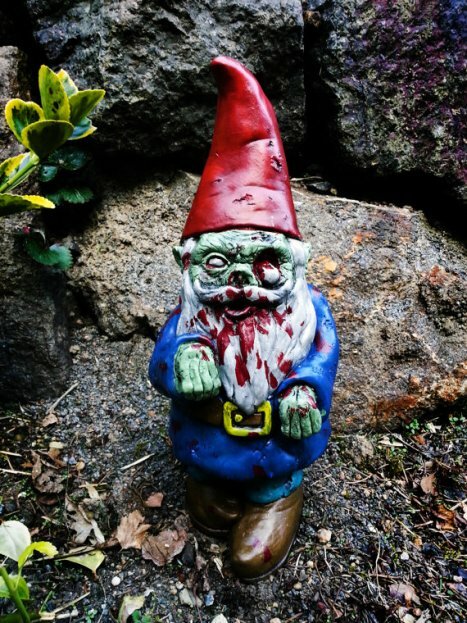 The first zombie gnome is from Lawn of the Dead on Etsy (love the name!) The others? Well, looks like something got loose in the gnome community. haaaa! Girl Z: My Life as a Teenage Zombie Linkpalooza Giveaway! Okay, zombie fans, Let's Celebrate a Linkpalooza Giveaway!!! I got my beautiful new bookmarks!!! The first five to comment here and email me (chrisATcverstraeteDOTcom) a receipt showing you pre-ordered the book will get the bookmark, emailed wallpaper, and some neat zombie stickers! The black is glossy in front which is kind of neat. Stay tuned for a giveaway with some other stuff. Happy-Happy! The other day at work, my coworkers and I were stuffing envelopes with reports to mail out. My one coworker, Tamara, who also happens to be a writer, and I got on the topic of zombies. She asked me how I felt about the recent trend of creating stories from the zombie's perspective. Honestly, it doesn't bother me. It's another viewpoint in a genre that has been done for a long time. It's meant to change things, shake up the mundane. Personally, I think if it can be done well, do it. However, I think the normal definitions of "zombie" would have to change. After all, being inside a creatures head that thinks about nothing but braaaaaains or doesn't think at all, that's going to get boring really fast. I then mentioned that I personally would probably never do a story like that because I'm a purist. The only zombies I write about are George Romero zombies. And then I had to stop myself and backtrack. The next zombie story I'm going to write has zombies who aren't traditional. They have the ability to think and be trained, much like Bub. I got to thinking about the zombie genre and how us authors try to keep things fresh and exciting. It made me realize that there's nothing wrong with the "traditional" stories, but it's also going to be fun to explore a whole new side to the zombie. 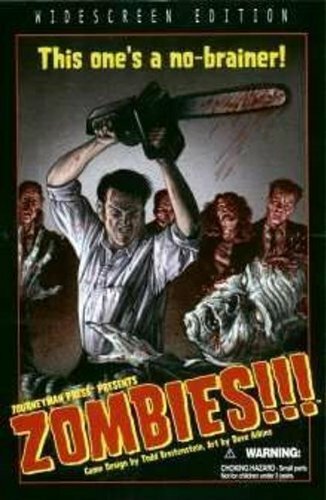 Heck, even George Romero toyed with the idea of smart zombies. The bottom line is if it can be done well, if you enjoy doing it, do it. Who's to say what you're doing is wrong? Josie Gump on Keeping Zombies "Fresh"
Well, this is all rather personal, but the Zombies Are People, Too Movement asked me about I was “keeping things fresh” with Jebediah. No one’s ever asked me for my housekeeping tips, before, and well, Jeb didn’t much care about the house as long as the food was ready when he got home, the beer was cold, and the TV screen clean. Anyways, I have to admit, it has been a challenge. At first, it seemed all right—easier, even. Death has changed him, you see, and while I don’t want to talk bad about nobody, Jeb used to keep tight hold of the money. Now, though—now, I tell him I want a little extra for new curtains or a better broom, and he just grunts his assent. And he did show up kind of dirty from digging himself out of the grave, but he didn’t have any problem with me sweeping him off with the whisk broom. Just so long as I didn’t get between him and the TV, of course. It’s gotten worse, though. First, that reporter mentioned a smell. I thought he meant the house! I threw him out, even sic’ced Pinky on him. I’m so embarrassed now, because he was right. I’ve kind of run through most of the commercially available products. In desperation, I even tried B to Z FreshAire. I mean, it says “Bathrooms to Zombies.” Jeb did not like that! One spray, and he started groaning, was so mad! I threw it out. Later, I found out, it’s zombie repellant! How horrible is that? I’m so glad for ZAPT; they’re trying to make that poison illegal. Anyway, there’s this expensive stuff called Orange Blaze that gets your house all citrusy, but it’s expensive, so if you can’t afford it, lots of Freedbreezy works. Another unfortunate problem with the “differently living” is, well, insects. I tried the natural methods—mint, basil, and lavender—but I finally had to break down and get some repellant. I worry about the dogs, but at least my Jeb never leaves his chair. I mean, even if I have to run an errand, he just waits so patiently for his next beer! It’s really a change; he just so gentle now. Of course, I’d be glad for any suggestions. I think there are some creatures making a home inside the chair. I’m so embarrassed. I’d call an exterminator, but they all seem to specialize in zombie extermination, now. I have to think of my Jeb. Conclusion: While there are probably as many ways to keep zombie stories fresh as there are writers, keeping the zombies themselves fresh is quite a challenge. Out now! The Tall Book of Zombie Shorts is an anthology complied by Gary Munford as part of the first Zombiefest on Facebook. 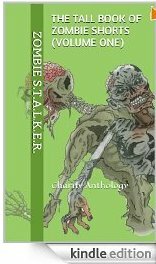 The anthology features a range of zombie stories from various authors, including a zombie flash story, FATE, by yours truly, C.A. Verstraete. The ebook is free for a limited time and then will be on sale to benefit injured veterans via the Wounded Warrior Project so be sure to donate if you can. Love zombies but don't have a lot of time to read? Don't really like to read? Would rather have someone else read to you? You can get a lot of your favorite zombie books on audio. 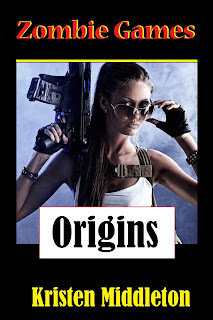 In fact, one of my books, Zombie Games (Origins) is now available on Audible.com AND you can find many others that can be downloaded to your phone, iPad, ebook, etc. Listen while you're walking, biking, driving, running from zombies. Check it out! Sometimes, yes, you have to be quiet. Decided to satisfy my curiosity one day and looked up places to hide from zombies during an attack. 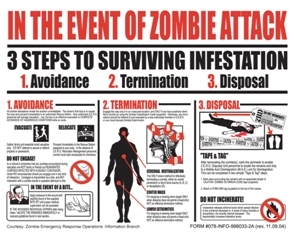 Cracked.com also had this part funny-part serious Guide to Zombie Survival. The best advice? Use your head if you want to keep it. haaaaa! Saw this and thought, who needs to worry about a Z virus when you've got these idiots in labs, right? And.... I am also participating in A Story a Day for May, so I am posting zombie flash stories (what else?) over at my Candid Canine blog. See day 1. Man, I've been so busy lately, I feel like the walking dead. Work has been very stressful and things have been busy on the editing front. I finished the first draft of my newest YA novel, so I've been chomping at the bit to read it from beginning to end. I finished doing that last night, so now I have to incorporate the edits and do another read through. At least the editing part isn't stressful. It actually helps relax me after a long day! While I relax, don't forget to check out Finding Eden, new in paperback! You can get it from Amazon or eTreasures Publishing. Drunk womanizer Duke, spends his life selfishly taking care of himself and screw the rest of the world. After one particular black-out alcoholic binge, he wakes to find the world changed—the dead are rising from their graves. Lonely, guilt-ridden Hank is someone who minds his own business, and sympathetic but strong-willed Lana is on the receiving end of harassment by other students. Forced together for survival, the three misfits must confront their world gone strange. God said the people of Earth would be punished for their sins, and so the end has come. Duke, Hank, and Lana must walk their own paths to salvation, but they also must depend on each other. 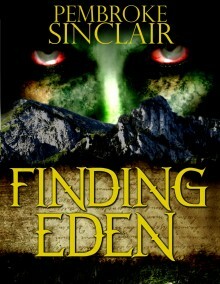 Will their salvation lie in Finding Eden? 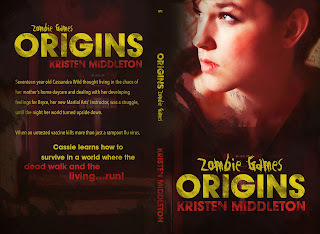 A Zombie story with inspirational elements. Karina's told me she's written a zombie novel, Neeta Lyffe, Zombie Exterminator. She's pretty excited about it coming out in March, and says she has readers who are already antsy for a copy. I don't get it. Zombies are the equivalent of spoiled food becoming animated. Why are you making literature out of dinner gone bad? There are zombies in our culture--inevitably the result of evil magic. Soulless animated bodies of the dead. When the sorcerer "does it right," he can infuse them with some rudimentary commands and a very minimal intelligence--kind of like Lego Mindstorm robotics. Done wrong, however, and you have the shambling dead trying to act out whatever messed up command its rotting brain can process. Had that happen in the Great War. None-too-experienced sorcerer tried to make a zombie army, but wasn't precise enough in his command to kill the "enemy." So they pretty much turned on everyone. Would have been a good time for your world's napalm, though we did have Greek Fire. Once in a while, though, I had to take a more personal approach to pulling one off one of my comrades. Took weeks to get the taste out of my mouth. In fact, I've got an urge to gargle just thinking about it. See why I don't like to talk about zombies? Now excuse me while I go find a 2-liter bottle of Listerine.